Your plants love nutrients as much as you need food to survive and grow. But when growing hydroponically, they cannot actively take up the nutrients themselves - you have to provide them. Looking for the best hydroponic nutrients straight from the start is not an easy job. Admit that there are lots of nutrient packages for Hydroponics on the market. But worry no more. In this article I'll help you pick the top nutrients for hydroponics on the market. I laid out the list of products reviewed in the quick comparison table below in case you don't have the time to read the whole article. Note: What are hydroponic nutrients and how do they differ from soil nutrients? 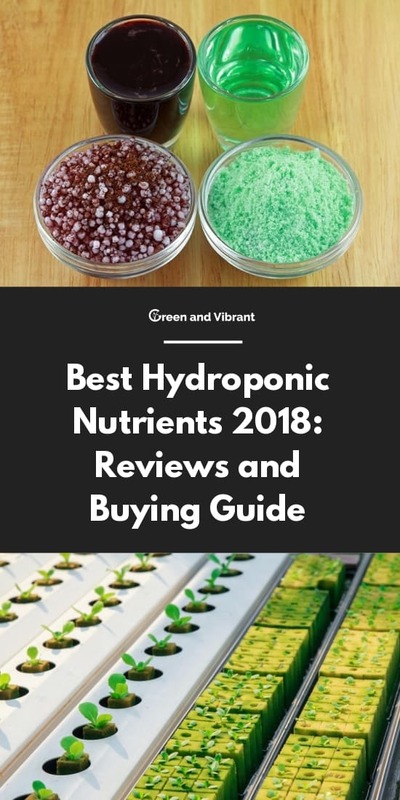 Read our hydroponic nutrient guide post. Here are some important questions to ask before getting the hydroponic nutrients. If ease-of-use and price are your most important criteria, the 1-part Hydroponic liquid seems to be a perfect choice. No need to premix. No need to care about types of different plants and phase of growth. However, it comes with a trade that you do not give plants full potential for growth. It is absolutely not an effective choice for all types of plants. And that's the main reason I don't recommend it for most growers. When you opt for a good solution, you'll need to purchase a 3-part nutrient package. But that also means you'll exchange the convenience for control of the nutrients by customing the mix to fit different plants. 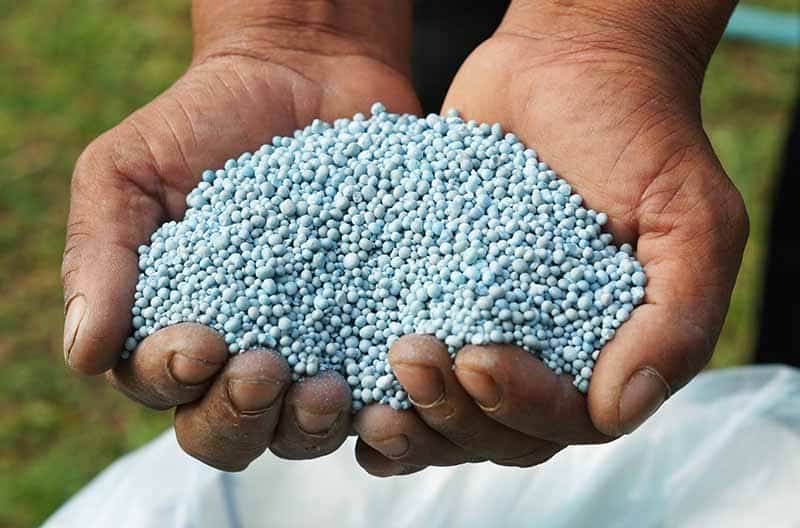 The liquid fertilizers are so commonly used by starters and hobbyists as they have been well premixed and super easy to work with. But they come at a higher price. Powder or dry forms are more economical because they do not carry water in them like the liquid ones. They also have a longer shelf-life. Powder nutrients are often used in large commercial greenhouses as they are much economical when large amounts are used. Commercial production will create and custom the powder of each mineral. But that's only efficient if you grow large and have had enough skills. 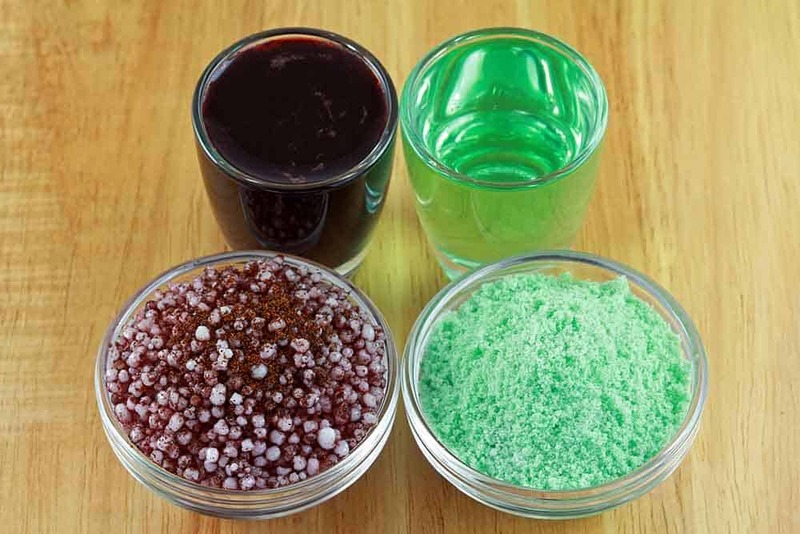 There are some pre-mixed powder products on the market. This is a great solution for Hydroponic hobbyists who have a preference for the powder form but also want some ease-of-use. All they have to do is to add it directly to the water and stir to get the powder soluble. Lots of growers want to go the organic path with their Hydroponic setup. But even though organic products seem best for the environment and for your health, they trade with their soluble problem and the smells when dealing with the systems. And most of the Hydroponic nutrients sold are not organic. Only if you purchase the organic forms yourself like blood meal, fish bone, etc. and place them into the solution, they can be considered as organic. Even when the manufacturers say they are organic with some product lines like Gen Organics, they are not 100% organic as there are some sorts of refined minerals in them. But if you want organic nutrients for your Hydroponic garden, they work great. And exchanging a little of the hassle of the real organic materials for the pre-mixed refined organic products sold on the market is surely worth. 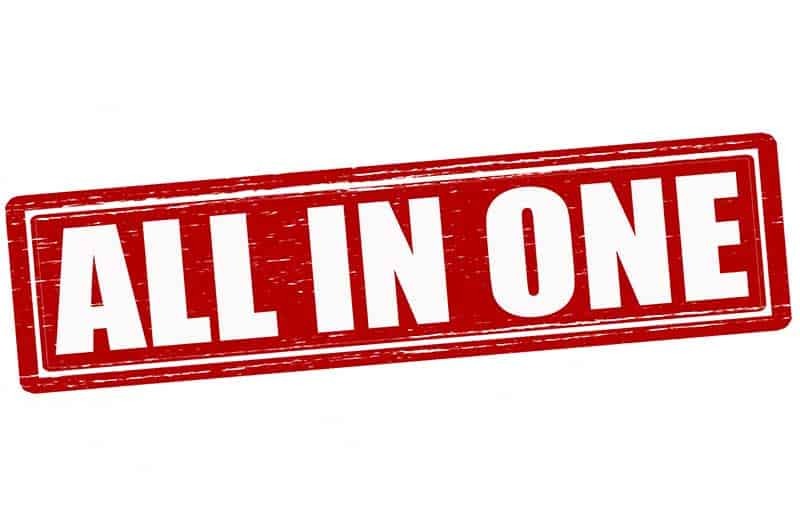 For all multi-purpose nutrients that manufacturers say to work for every set up whether soil or hydroponic, don't buy into it. To have the best results, purchase the products that are made for Hydroponics. Catering each specific need, here are the best premixed hydroponic nutrient items that we introduce for growers. The criteria chosen are based on quality, control, ease-of-use, and of course prices. The fewer the better. Giving too many choices will cause it harder for you to make the decision. Let's go to the list. General Hydroponics is a trusted brand that has provided Hydroponic products for decades, and the Flora line is the most popular Hydroponic product of them. Why the 3 parts? It is because different plants and their growing period will require different macronutrients, micronutrients at various nutrient ratios. Even though you can use one bottle for the whole growing phase, it's better to mix the bottles to bring the ideal results for plants. How it works is laid out clearly on the bottle. Hydroponic growers just mix the liquid from the bottles together to fit each plant and its growth phase. If you just get started and have little to no ideas about Hydroponic nutrients, the only package you can take is this. Just follow the instructions on the bottle or visit General Hydroponics for their feeding schedule, your plants will grow fine. No need to purchase other supplementary nutrients. Can be used for all hydroponic plants and growth phases. Not efficient on a commercial scale. Fox Farm is known as the soil nutrient supplier first. But as the Hydroponic market expands, they also make a product line for Hydro growers (of course they can also be used in soils). The FoxFarm Trio line is also the 3-part package just like General Hydroponics. But the nutrient formulas and the mixing ratio among the 3 bottles for plants and their growing schedule are different. Again, the instruction is laid out clearly on the bottle and on their website. Fox Farm is another trusted brand for decades, and many growers have used this package for growing hydroponically and enjoyed absolutely great results. So there are no reasons you don't use this package for your soilless setup. Excellent alternative to the General Hydroponics. Work well for all plants and growth phases. Easy to follow and use. Pricier than other brands on the market. As said, powder products are more economical because they don't carry the weight of water in it. They are also easier and cheaper to ship. This type is produced by General Hydroponics - a product line for people who prefer the powder form. Again, you can choose the 1-part Maxigro and use it for the whole growing period, but I would suggest buying the 2 parts of the powder for the best of your plants' growth. One word of caution is that you should not premix the powder nutrient, just place it into the reservoir, then stir; otherwise, you'll have a precipitation problem. Cheaper than the liquid nutrients. Not as convenient as the liquid series. Hard to be completely dissolved in the water. Finally, an organic nutrient product for growers who prefer growing naturally. But as said, the products are not certified as "organic" and they are not made from 100% organic minerals. But don't expect perfection in reality. These products come as close as organic. And more importantly, the plants will love it. You will also enjoy how easy it is to work with just by following the clear instructions to mix these nutrients. Easy to use and work with. All instructions are on the bottle, and on their website. The smell of the product. Calcium and Magnesium are two secondary macro nutrients that plants need in good amounts and most of the nutrient lines talked above may not provide sufficiently. You can use the all of the nutrients above for your system, and they will go fine. But if you want to provide more calcium (Ca) and Magnesium (Mg) for fast-growing plants, especially at the blooming period, Cali Magic is a great supplementary product. Lower pH level of your nutrient solution. Usually, the nutrients will not work well on their own. You will need some accessories/devices in order to ensure the plants can perform well with the nutrients. Not the best, but will last you long. Nuff talk. The pH up and down products work great to bring the pH of your level to the level you want. For an economical TDC/EC/Temperature Meter that performs greatly with you for a long time, this is one of the best choices. Can last you long under good storage. The best ways to mix is to follow the manufacturer's instructions. Different nutrient sold will have different formulas. And it's better to mix it with the instruction you often see on the bottle, or on their website. For starters, you should use the dosage lower than the stated level. Adjust it when you get enough experience. Measure EC to know nutrient levels. Over a period, the nutrient solution will run low in concentration. That means plants may lack the nutrients. You will need to do an EC (Electricity Conductivity)to measure the concentration of all elements of the solution (It's hard to know the ppm of each nutrient in the solution, but you can measure the overall ppm of all nutrients quick). It will indicate the PPM (part per millions) of nutrients in the solution. The easiest way to do that is to use a digital PPM meter. Submerge it into the water solution for the reading to be taken. Normally EC should be from 1000 to 1500 PPM, but this number may vary with the crops grown, and the age of your plants. Usually, You will need higher PPM as plants get bigger. Check pH and adjust it accordingly. The pH level of your Hydroponic set-up must be kept balanced over the whole growing period so that plants can get sufficient nutrients. This is because if the pH is too low or too high, the important nutrients are in a lock-out and plants fail to take up them. So monitoring pH changing is important. You will know immediately when to correct the levels of the nutrient solutions before your plants suffer. The ideal pH levels are between 6.0 to 6.5. Use the pH meter to check, and pour the pH up and down kit to bring it to the suggested level if the pH number drifts too much. So what are the best nutrients for your hydroponic setup? For beginners, stick with General Hydroponics Flora or the Foxfarm and you are absolutely fine. The 3 part liquid nutrients will save you the time, and the hassle to mix them up. All the instruction are on the bottle for different plants and phases. So it's very easy to mix it up. If you do not have experiences, mix the nutrients a little less than the amount recommended. My personal favorite is also this one, General Hydroponics Flora. I have used it for years. I love it and so do my plants. If you want to go the organic path (I know lots of hydroponic growers want to grow their plant organically, you can choose the General Hydroponics General Organic Go Box.